Treasury: Jay-Z And Beyonce Traveled To Cuba On U.S.-Approved Trip : The Two-Way Two U.S. representatives had complained that the couple's trip was tourism, which is prohibited by U.S. law. 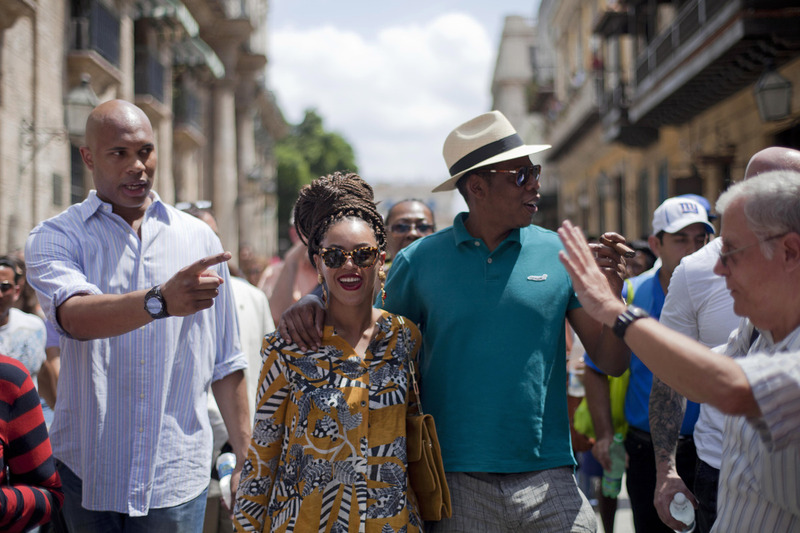 Hip-hop's royal couple Jay-Z and Beyonce went to Cuba with a group authorized to travel to the island by the U.S. Treasury's Office of Foreign Assets Control. "It is our understanding that the travelers in question traveled to Cuba pursuant to an educational exchange trip organized by a group authorized by OFAC to sponsor and organize programs to promote people-to-people contact in Cuba," Alastair M. Fitzpayne, assistant secretary for legislative affairs at the Treasury Department, wrote in a letter to Rep. Mario Diaz-Balart. Balart and fellow Florida Rep. Ileana Ros-Lehtinen called on the agency to look into the couple's trip. Without a permit, the U.S. government prohibits Americans from doing any business with Cuba — that includes through any travel-related transactions. "'We're saying that no one is above the law, even if you are the diva Beyoncé, and that's wonderful that she's famous and rich, and Jay-Z, everybody loves him, too. Terrific. But no one's above the law,' Ros-Lehtinen said on CNN. "She said that while the law does provide for some travel to Cuba under some circumstances, there were still 'a lot of better places' that the couple could have visited on vacation, which coincided on their fifth wedding anniversary." In the letter obtained by NPR, Fitzpayne explains that authorized trips are supposed to focus solely on "educational exchange activities that result in meaningful interaction between the U.S. travelers and individuals in Cuba." Balart and Ros-Lehtinen said in their initial letter that "numerous press reports described the couple's trip as tourism, and the Castro regime touted it as such in its propaganda."